VitalConnect®, Inc., a leader in wearable biosensor technology for wireless monitoring in hospitals and remote patient populations, announced the launch of the Vista Solution™ platform. The Vista Solution platform enables wireless, real-time, continuous patient monitoring, and delivers a seamless feed of patient data that supports timely caregiver analysis in the hospital or at home. The new platform integrates the company’s existing VitalPatch® wearable biosensor, which is the only FDA cleared Class II device that continuously measures eight biometrics in real-time. Together, the Vista Solution and the VitalPatch biosensor offer an elegant, best-in-class solution that increases patient mobility and comfort, provides oversight without additional caregiver burden, and enhances patient care. The Vista Solution platform is a complete end-to-end solution that improves monitoring standards in both hospitals and in remote care environments. The platform enhances patient safety in the hospital general ward by providing monitoring between periodic spot checks that can span up to eight hours (once per shift). Vitals for all patients are now easily accessible at nursing stations or remote monitoring centers through the cloud-supported VistaCenter™ application, as well as in individual patient rooms. In home care environments, such as home-hospitalization or post-discharge monitoring, remote and continuous monitoring have shown significant cost savings, fewer readmissions, and improved rest for the patient. “Waking patients up multiple times in the middle of the night for a vitals check is required for most hospital patients. This is disruptive for the patient and time-consuming for nursing staff. 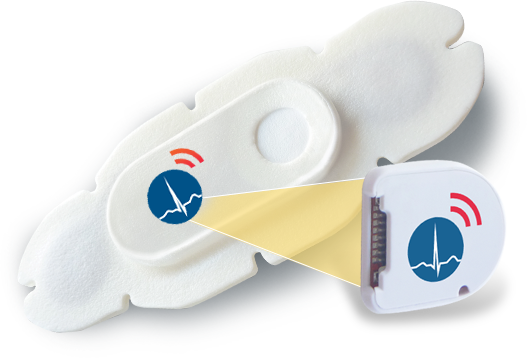 The VitalPatch brings a light, wireless, and comfortable solution to patient monitoring. Now with our Vista Solution, caregivers will have continuous insight into their patients, and can intervene when additional care is needed between spot checks,” said Dr. Nersi Nazari, chief executive officer and founder, VitalConnect. The Vista Solution platform was piloted in collaboration with Mercy Virtual. It will be launched in Mercy Hospital St. Louis, and then deployed to additional hospitals and outpatient settings across Mercy facilities in four states in 2018. Mercy Virtual is a pioneer in the virtual health space; they launched the first freestanding healthcare facility dedicated to telehealth in 2015. The use of VitalConnect’s new monitoring platform is one of many steps the healthcare system is taking to continue to be at the forefront of digital health and patient care. Remote oversight, notifications of patient decline, and a wireless biosensor for the patient are just some of the improvements welcomed by nurses. VitalPatch is a single-patient use, fully disposable device, providing convenience for caregivers and comfort for patients. The biosensor measures eight vitals: single-lead ECG (electrocardiography), heart rate, heart rate variability, respiratory rate, skin temperature, body posture, fall detection, and activity (steps). With a five-day (120 hours) wear duration, VitalPatch covers the national average 4.5-day hospital stay. VitalPatch and the Vista Solution are both HIPAA compliant and include cryptographic security features to protect patients and hospitals alike. More on the patient monitoring equipment market in the US can be found in a series of reports published by iData entitled the US Market Report Suite for Patient Monitoring Equipment. This report covers the following market segments: multi-parameter vital sign monitoring, wireless ambulatory telemetry monitoring, cardiac output monitoring, electromyogram monitoring (EMG), electroencephalogram monitoring (EEG), fetal and neonatal monitoring, cerebral oximetry monitoring, intracranial pressure monitoring (ICP), blood pressure monitoring, telehealth and pulse oximetry monitoring. The iData series on the market for patient monitoring equipment covers the U.S. and 15 countries in Europe including Germany, France, the United Kingdom (U.K.), Italy, Spain, Benelux (Belgium, Netherlands and Luxemburg), Scandinavia (Finland, Denmark, Sweden and Norway), Portugal, Austria and Switzerland. Reports provide a comprehensive analysis including units sold, procedure numbers, market value, forecasts, as well as detailed competitive market shares and analysis of major players’ success strategies in each market and segment. To find out more about patient monitoring equipment market data or procedure data, register online or email us at [email protected] for a US Market Report Suite for Patient Monitoring Equipment brochure and synopsis.